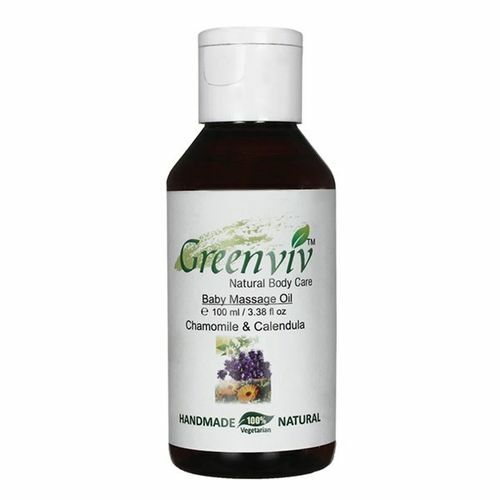 Greenviv Baby Massage Oil is a blend of natural oils that help nourish and keep baby's skin soft & smooth. This massage oil also aids in timely and proper growth of your child. It is 100% natural and vegetarian. It is gentle on your baby's skin. No fragrance oils, No unnecessary additives, Just pure natural oils and ingredients that naturally moisturize and nourish baby skin and aids in growth of the baby. Lavender, Chamomile & Calendula helps to calm even the highly colic babies.